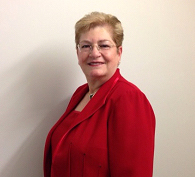 Elaine H. Handleman, LCSW, is a Licensed Clinical Social Worker providing therapy in offices located in Hillsborough, Pennington, Somerset and Highland Park, New Jersey. Couples counseling can help when you are tired of struggling in your relationship. When couples are not getting along it can feel frustrating and lonely. Counseling can be an effective way of repairing a relationship and restoring trust and intimacy. It can help resolve issues such as poor communication, constant fighting, and a lack of emotional and physical intimacy. Couples often repeat patterns and behaviors learned or seen growing up in their families. Identifying some of these patterns can help to eliminate anger and other ineffective ways of communicating. Couples can learn new skills that can help them resolve differences without fighting, and can help to reestablish a loving, caring, and deeply intimate relationship.